In France, I had the opportunity to go to the town of Valençay and buy and eat a Valençay cheese. I also went to a farm and bought a Selles-sur-Cher. Similarly, with Chabichou de Poitou, Mothais sur feuille and other goat cheese. I also drank Vouvray in Vouvray. You can now go to the newly opened, massive IGA at Mount Cotton and buy a Frolicking Goat Mount Cotton. The other cheeses in our signature range are also available. The Mount Cotton IGA has a very impressive deli with a cheese room and 2 cheese barges. I talked about making a washed rind for a long time. I had made some great washed rinds for the house a few years ago. Those were along the lines of a Chevrotin de Aravis. However, I did not see those as a good cheese to make in production. 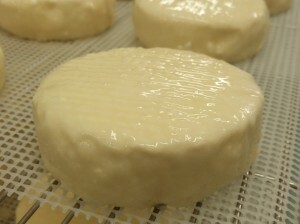 In Australia, nearly all washed rinds are made like an Australian camembert-style cheese and then washed. We wanted to do something different. The red bacteria and other cultures available in Australia weren’t inspiring. Thankfully, the Australian Specialist Cheesemakers’ Association have made STANDA cultures available. So we started developing the Teddy. All of our cheeses (except West End) and have been developed by Peter and don’t follow a standard recipe we got somewhere. Who is Teddy? Teddy is our Buck. When we picked up Teddy, we found out that his registered name was Stinky. We decided he was a nice young boy – and he was younger then we were led to believe – and we couldn’t call him that. Many of our goats are named after blues and jazz singers. There was a blues guitarist called Teddy “Kid” Morgan. So the young fellow became Teddy. So when we made a stinky cheese, we named it after Teddy. The Teddy cheese is made using the same technique as Époisses from Bourgogne. The Teddy is made using a slow fermentation and washed with a light brine. Later it is also washed with a Brandy. This affinage process is at least 4 weeks. Originally, I used Armagnac – it had more interest than Cognac. I am now using an Australian brandy. We try to use Australian ingredients where possible. 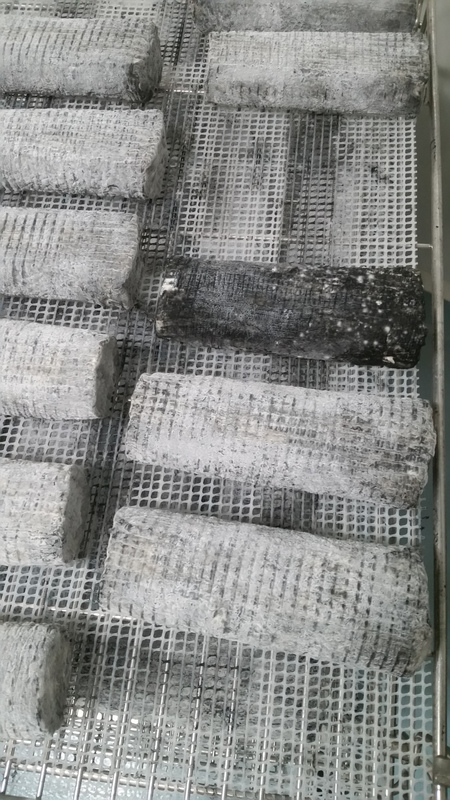 I originally didn’t like the rind (Geotrichum Candidum) I was growing when the cheese was young. I found it was a bit papery. So I tried another Geotrichum. It grew too wavy for the cheese I was trying to make. 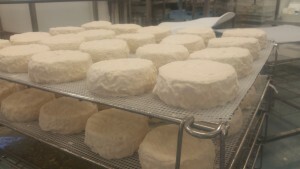 With all of the diverts in the rind it was not a good cheese to wash for 4 weeks. So these became the Teddy Gone Wrong. The cheese has been popular and disappears quickly so we decided it should stay but needed a name. Our first born is Josie. She actually turned 5 the other week! Last year she had 1 boy called Joseph. Joseph is an extremely intelligent young man full of character. As a kid, we had to let him find his way from the shed to Josie in the paddock. Otherwise, he would take other kids with him and they would be distressed. He was very difficult to contain and would bound around with us when we did tasks outside the shed. We decided we couldn’t give him away and keeps Teddy company. Teddy is also Joseph’s father. So Joseph is an ideal name for the Teddy Gone Wrong. 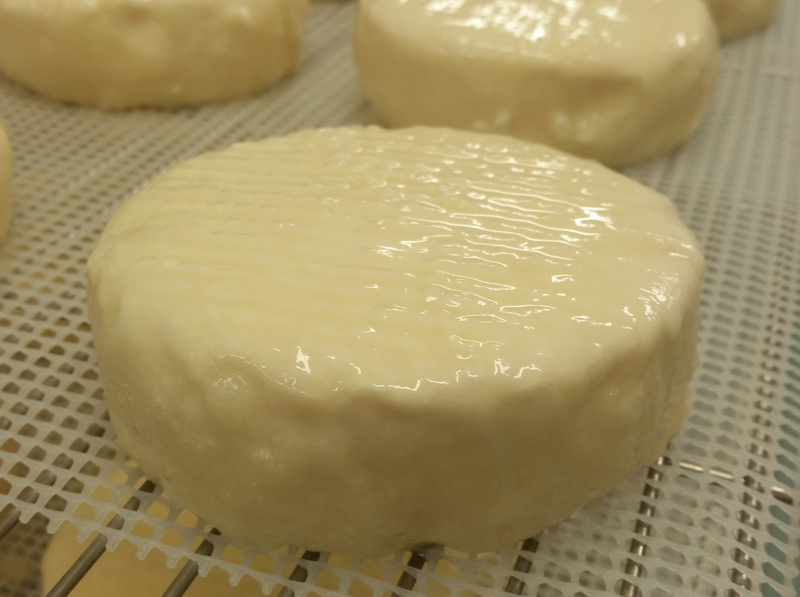 The Joseph is lightly washed in a light brine a few times during its period in the maturation room. Recently, Wendy from The Cheeseboard commissioned Frolicking Goat to make a cheese for Newstead Brewing Company. The cheese was to be washed in their India Pale Ale. In the short time-frame, we decided to make these Josephs washed with the beer. The story on the IPA can refers to the Battle of Brisbane and refers to the humour and cheekiness of Queenslanders. Josie’s only daughter is Mary-Jo. She was only 1kg when she was born. Most kids are around 3kg. She could stand under her up and reach up to drink. She packs a lot of humour and cheekiness in to her small frame – well currently not small because she is expecting. Now there was also a humorous incident that occurred when she was having one of the many Battles of Burbank. However, sometimes what happens in the shed should stay in the shed So those cheeses are named after Mary-Jo. In that same batch, some cheeses were washed with a Rosé. It is only right to keep that cheese in the family. So that cheese is named after Josie. Josie is a lot of fun and a real clown. The Cheeseboard currently has some Teddys and Josies. Peter & Lyndall will be selling Teddys and Josies at The Mould Cheese Festival in Sydney this weekend. 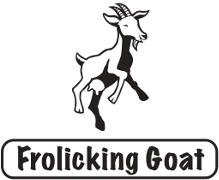 We are also producing a marinated version of Frolicking Goat West End – i.e. marinated Feta-style cheese. This cheese is packaged in a glass jar with a gold lid. The cubes of cheese are marinated in a mixture of sunflower oil and olive oil flavoured with thyme, oregano, mint and a touch of lemon. Due to the yellow colour of the oil and colour of the lid we have decided to call this cheese Frolicking Goat Gold. 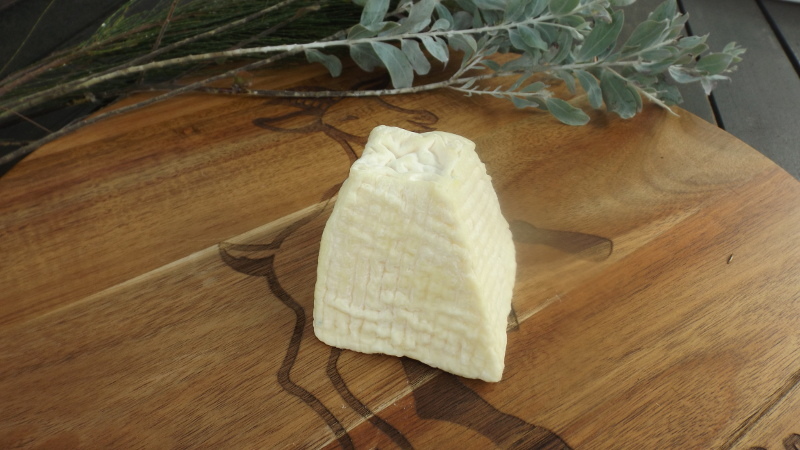 We recently introduced our feta-style cheese at the Markets. We attempt to make the cheese as close as we can to a Greek Feta. Obviously, it can’t be the same. So how do we get a regional name…what is the Greek area of Brisbane? We name this cheese Frolicking Goat West End. Initially, it has been packaged as cubes brined in glass jars. We will probably be vacuum-packing it as it is often done in Australia. Larger quantities might be sold in plastic containers containing cheese and brine. Frolicking Goat West End is available from our market stalls. Many of us are aware that sparking wine produced outside of the Champagne region in France should not be called Champagne. Similarly, the regional name Hermitage has been replaced by the grape variety Shiraz/Syrah. This is due to the French certification system of Appellation d’origine contrôlée (AOC) – “controlled designation of origin”. AOC certification for a wine, cheese or other food specify the region the product is made in, the soil types, the raw ingredients (e.g. grape varieties, type of milk or even breed of animal), how it is made and much more. This factors influence the uniqueness of the product. Some of this is the basis of the French concept of Terroir. The Italians have similar systems of DOC and DOCG. There is also a European system of Protected designation of origin (PDO). For French products, my reading tells me that some AOC certified products have been promoted to the wider coverage of PDO certification. in 2002, Greece won a long battle to have Feta protected as a PDO product. The PDO specifies that Feta is a brined white cheese made from a minimum of 70% ewe’s milk and 0-30% goat’s milk. Viotia, Fthiotida, Fokida, Euritania, Etolia-Akarnam’a and Evia. Geographical section of the Péloponnèse: the prefectures of Corinth, Argolida, Arkadia, Achaia, Ilia, Lakonia and Messinia. Geographical section of Thessalia: the prefectures of Larissa, Trikala, Karditsa and Magnissia. Geographical section of Epirus: the prefectures of loannina, Thesprotia, Arta and Preveza. Geographical section of Macedonia: the prefectures of Thessalonika, Halkidiki, Kilkis, Imathia, Pieria, Pellas, Florina, Kozani, Kastori a, Grevena, Kavala, Drama and Serres. Geographical section of Thrace: the prefectures of Evros, Xanthi and Rodopi. It is prohibited to use milk from areas other than those stipulated above in the preparation of Feta cheese. ewe’s and goat’s milk contain no carotene, with the result that the rennin produced by it is naturally white in colour, unlike the rennin produced by cow’s milk, which is yellowish in colour. 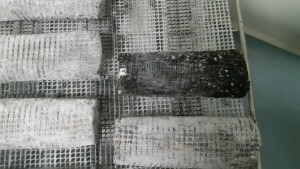 The PDO document also describes that Feta is not made using ultra-filtration. Basically, ultra-filtration is the pushing of milk through a very skinny tube and/or membranes. The liquid that comes out the end is permeate used by by cow dairy to standardise milk. 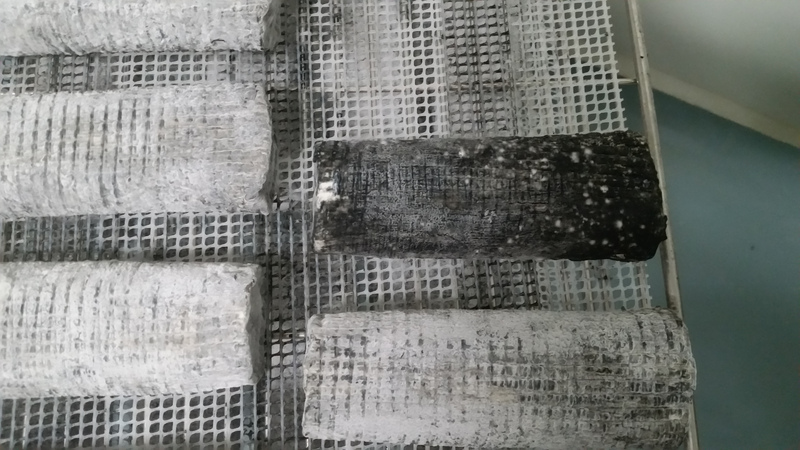 The remaining thicker mixture is used to make cheese in the style of what is known as Danish “white brined cheese”. For more PDO specifications on other products you can search the http://ec.europa.eu/agriculture/quality/door/list.html.